We have traveled often with our children, but it’s always been by car. 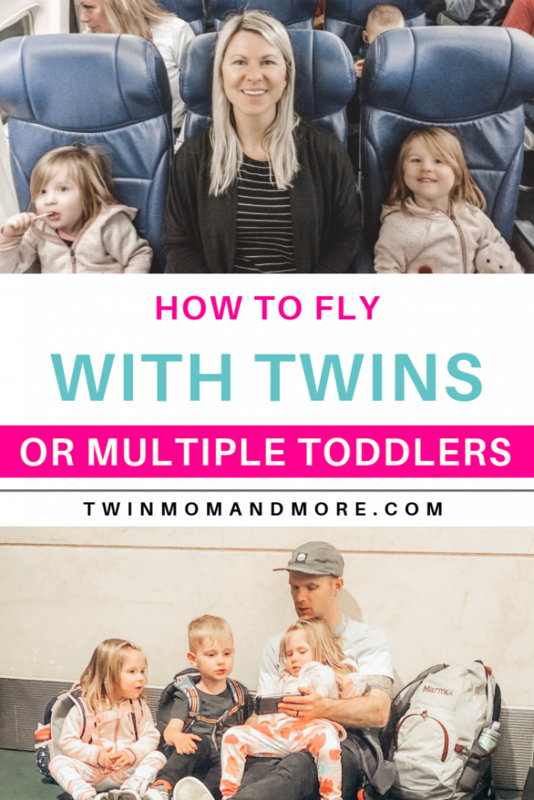 With a singleton and twins just two-years years apart, the idea of flying with that many toddlers was just absolutely overwhelming to us. Now that our oldest, Theo, is 5, we knew he wouldn’t be that much stress. But our twin girls, Josie and Margo, are 3, and flying with twins? That thought is terrifying. Terr.if.ying. 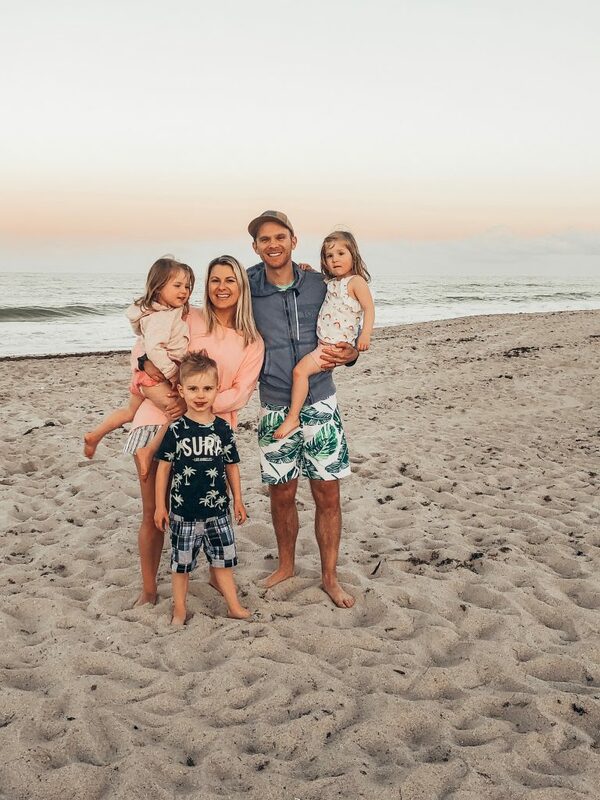 However, I reallllyyyyy wanted to take our kids to Florida this spring, so I convinced my husband that flying with our kids would be totally easy. I can tell you that even though nothing went according to plan, and it was a TON of preparation and work, we survived to tell the tale. 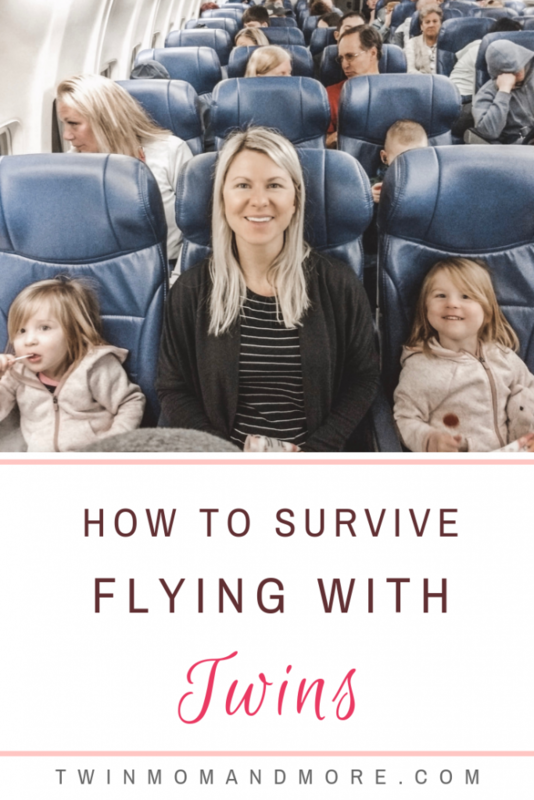 Here are my travel tips for flying with twins, and everything I learned along the way! Since our kids weren’t babies when we flew, most of this information won’t pertain to lap infants. Just keep that in mind! The most important part of ensuring that you have a successful flight is to put the legwork into planning. Plan, plan, plan. Pack the right supplies. Expect something to go wrong and have a backup plan. Be OK with some extra screen time and treats. 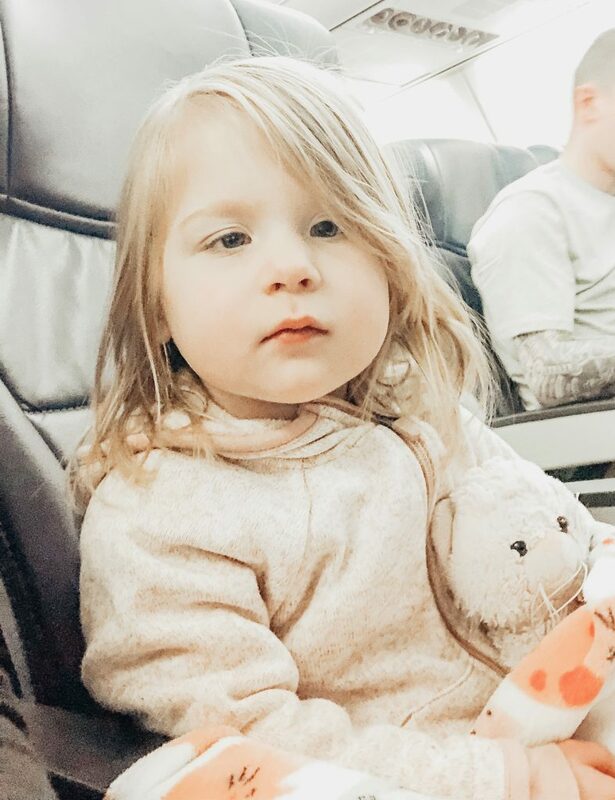 Airplane Essentials for Twins or Toddlers! When we were flying we decided that booking a direct flight was extremely important to us. Luckily, we were flying from Providence to Orlando and there were many options for direct flights. 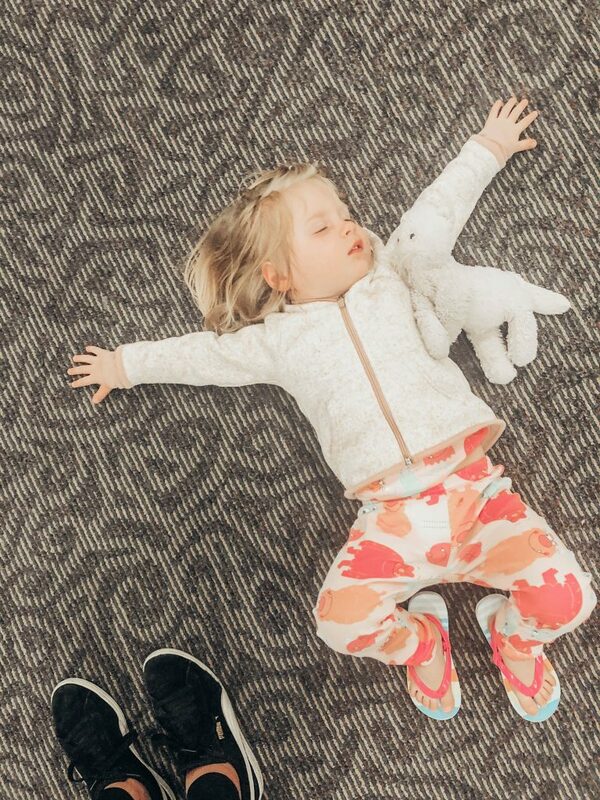 When traveling with toddlers, timing is everything. Do your best to book a flight at a time that your children are normally happy. Since our flight was relatively short (just over 3 hours), I went ahead and booked a flight during nap time. I knew that even if they didn’t nap on the plane, they would likely sleep on the hour long drive in the car on the way to our rental house. A few days before our flight, I got a text that our flight had been canceled and we needed to reschedule. During spring break week. I checked immediately and our only option was 5:30 in the morning. This meant that we had to get our children up at 3:00 IN THE MORNING to get them on a plane. 3:00 IN THE MOTHER FREAKING MORNING. If you have an early morning flight, dress your kids in the outfits they will be wearing on the airplane. If that’s pajamas? That’s fine. Nobody will care. I dressed the girls in comfy leggings and Theo in sweatpants. Our return flight was later in the evening, so I changed the girls into pajamas in the airport. This way, when they got home, I could put them straight to bed. Yes, it’s kind of gross to sleep in clothes that were on the airplane, but I washed all of their bedding the following day. One of the most annoying parts of traveling with toddlers is the fact that you need to bring car seats for them. Your options are to either check them (which is free and doesn’t count as a bag for most airlines!) or gate check them (also free). If you check them, you will need a car seat bag. We used this car seat bag and were incredibly happy with the way it held up. It also had shoulder straps that made it convenient to carry. At least as convenient as it can be to carry THREE GIGANTIC CAR SEATS. And keep track of 3 kids. 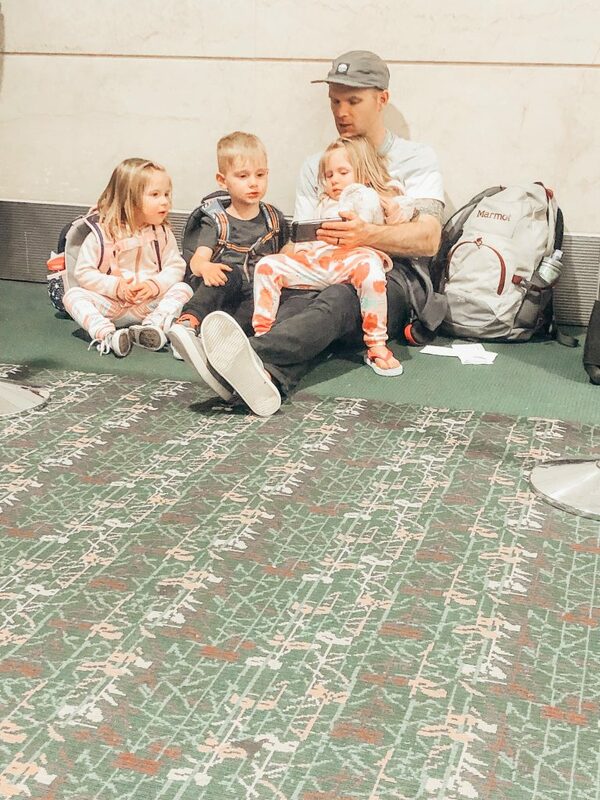 We opted not to gate check our car seats because we didn’t want to have to carry three of them through the entire airport WITH our 3 kids. However, if gate checking your car seats is your only option, definitely invest in a car seat transporter. If curbside check in is available, for sure utilize that!!! Our original plan was for my husband to drop us off and unload everything into curbside check in. This way, I wouldn’t be stuck checking our luggage and watching the kids at the same time. Unfortunately, remember our timing incident? Yeah, check-in wasn’t available at 4:45 when we arrived at the airport. Figure out what time you need to get to the airport and add 30 minutes to that. You do NOT want to be late and if you are running late your stress levels will be so high. Don’t forget that you are going to have to take your car seats out of the vehicle and put them into the car seat bags. You will have more bags to check than you are used to. Someone will have to go potty. Someone else will fall and get hurt and need a 5-minute long hug to calm down. This situation will depend both on your situation and your twins’ personalities. Since we were taking a beach trip and not going to any amusement parks or zoos, we didn’t need a stroller at our actual destination. I considered the fact that we had direct flights both times, and that my girls both love to walk, and decided it would be an extra thing to keep track of. We did not bring our stroller and I don’t regret that decision at all. But that might not be the case for you. Do you have a layover during nap time? A stroller might be a good thing to take a nap in. 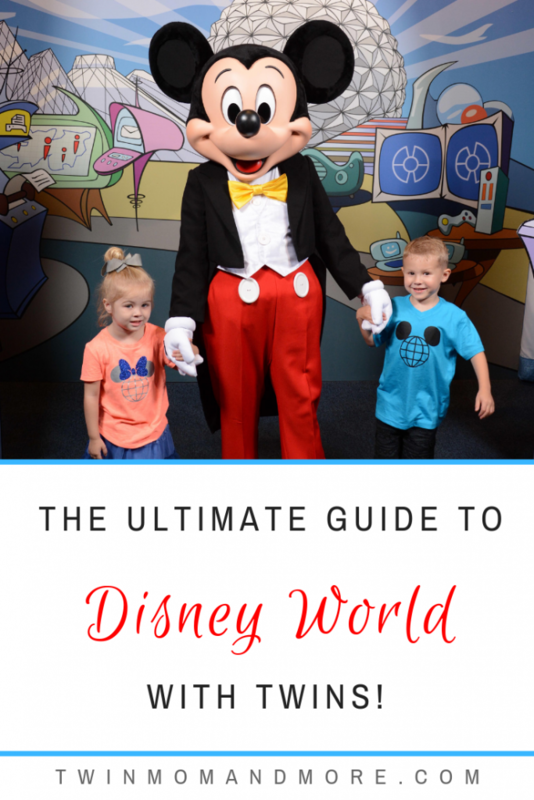 If you DO bring a stroller, get an umbrella stroller that is lightweight and compact! My kids love waiting, don’t yours? Ha. Try to find an empty space for them to run and get out some energy before the flight. When that doesn’t work anymore…. screens it is! So, you’ve checked your luggage, made it through security, and woohoo! You’re on the airplane. With your twins. Deep breaths. You got this! Note: Bring a change of clothes EVEN if you don’t think you need it. Josie and Margo were newly potty trained, but we put them in pull-ups for the flight because we were NOT about to risk an accident. I thought that for sure, they would be fine. They were wearing pull-ups. Do you know what happened? They drank so much and couldn’t get up to use the bathroom because the seat belt sign was on. So they peed in their pull-ups. Not a big deal, except for the fact that they’d had about a gallon of water from eating salty snacks. Their pull-ups couldn’t quite handle the volume of liquid. When we stood up to leave, there were, I kid you not, PUDDLES of pee on their seats that had leaked out of their pull-ups. Bring the change of clothes. Thankfully, I had brought them, along with wipes to clean up the mess. Toys/coloring books/books: To be honest, I didn’t bother with any of that. I was afraid if my girls tried to color they’d drop their crayons and it would be mass panic. I considered bringing their Magna doodles, and think that’s a great option, but opted against it since I had so much stuff to pack anyways. I gave this it’s own heading because, seriously. Screens and snacks are the ONLY thing that got us through. Granted, we had to wake our kids up at 3:00 in the morning. Granted, they hadn’t fallen asleep until 10:00 that night because they were so excited. We had a lot working against us, but snacks and screens? They solved all of our problems! We used a table to play movies for Theo, who was sitting with my hubby. The girls both sat with me and watched movies on the same DVD player. They were totally fine sharing, and we didn’t want to buy an extra if we didn’t have to. If you have your twins share a device, make sure that there are either two headphone jacks OR that your headphones can connect to each other. 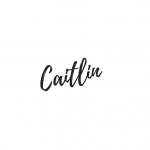 I went back and forth with this and decided my twins wouldn’t need it, BUT I wanted to include it because I think many children would benefit from it. Or, let’s be real, get down and run away. I was confident that if my girls had movies to watch and treats to eat that they would be fine, and I was right. If you have any doubts at all, I suggest getting the harnesses! They are FAA approved, meaning all airlines allow them, and extremely safe. 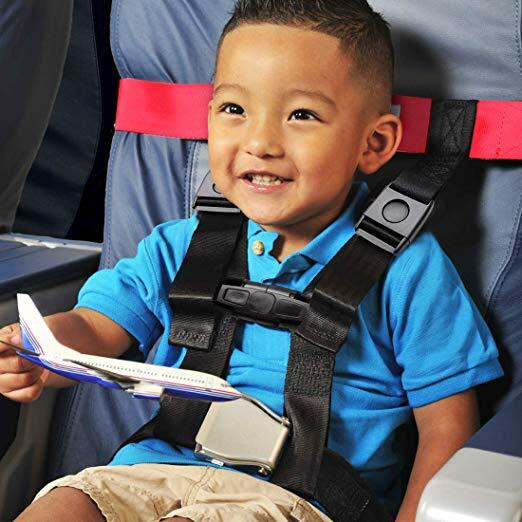 You can purchase it here: child safety harness for airplanes. You need a solid strategy for waiting for your luggage. Know what our strategy was? You guessed it! We actually gave the kids lollipops because they take a while to eat them. I make sure that we have an arrival suitcase that has everything we need up until we can check into our lodging. Since we couldn’t check in until 4:00, we actually went to get lunch and then headed straight to the beach! Our ‘arrival’ suitcase contained all of our beach items, including sunscreen, bathing suits, towels, etc. I dressed the kids in layers: a t-shirt, long sleeved shirt, and a heavy sweatshirt. When we arrived in Florida, we ditched the top two layers and changed into shorts and flip-flops that were stored in our carry on bags. This way, everybody was comfortable! 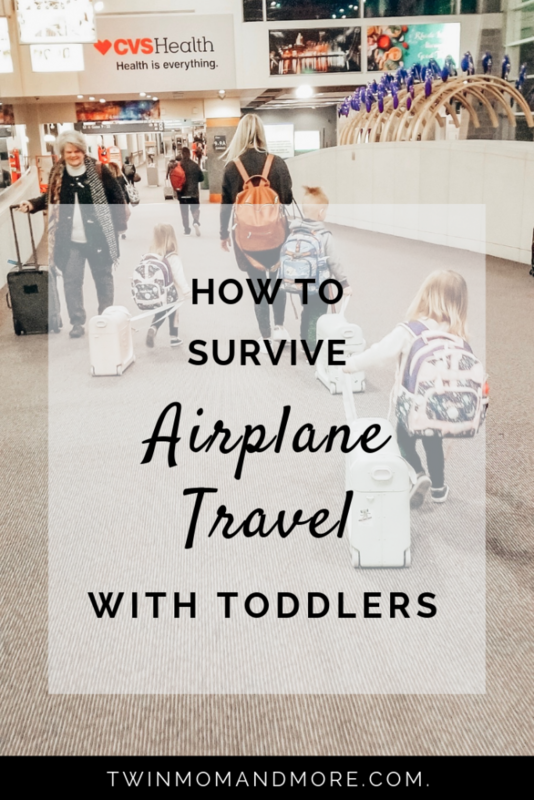 I also made sure to put the kids in shoes that slip easily on and off so that if they kicked them off on the airplane, I could get them back on them quickly. It was really hard, but you know what? We made wonderful memories as a family. And, as I told my husband, next time will be easier. As the kids get older, it will never be this hard again.